You would like to know how your customers perceive your company? Why your target audience chooses you explicitly? You would like to tap the full innovation potential of your customers and employees as effectively as possible? Or fascinate your customers with your brand? 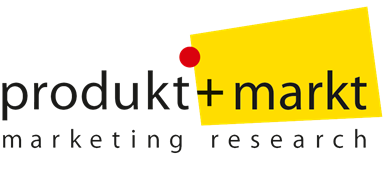 Then you should meet Produkt + Markt! With 130 employees we reveal your customers’ deeply hidden emotions, motifs, and intentions. We inspire based on scientifically sound results and create sustainable prospects for your company.